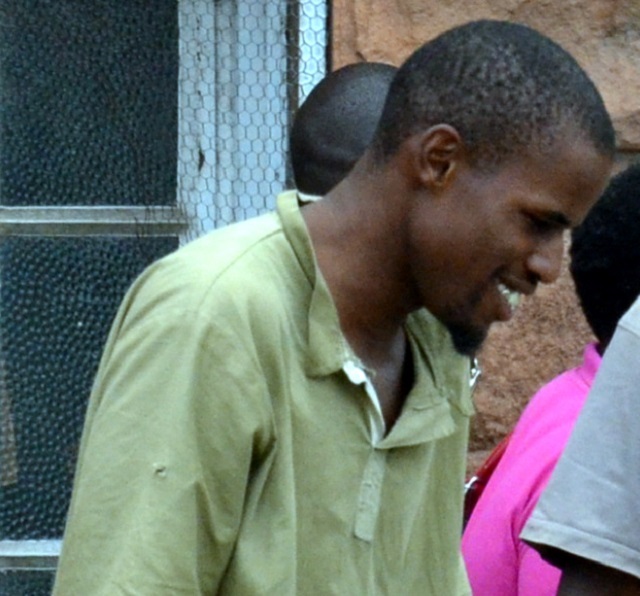 BULAWAYO ‘‘serial killer” Tongai Jindu (27) has told the Bulawayo High Court that he was sent by the devil to kill two of his victims and threatened to unleash the evil spirit on prosecutors. Prosecutors are advocating for the death sentence to be passed against Jindu for killing his best friend, Cyprian Kudzurunga and neighbour, Mboneli Joko Ncube. Initially, Jindu pleaded not guilty but when the trial kicked off before Bulawayo Judge, Justice Nokuthula Moyo he admitted that he committed the offence. The court had previously heard that Jindu was mentally ill but following a medical examination, he was declared fit to stand trial. During trial, Jindu told the court that when he committed the two murders he was under the influence of heroin and methamphetamine (crystal meth) which created an urge for him to kill. He also confessed that he ate the pair’s raw livers and cooked the brains before consuming them. Jindu made the startling revelations during cross examination by the defence council. He threatened to unleash “Lucifer” on Chief Public Prosecutor Mrs Tariro Rosa Takuva who was assisting her subordinate, Ms Nokuthaba Ngwenya. “Mr Jindu why did you commit the offence?” asked Mrs Takuva. When Mrs Takuva pressed further with the questions, Jindu threatened to unleash the angel of death on her. “Madam do you want me to unleash Lucifer on you,” asked Jindu but Mrs Takuva was unfazed demanding answers from the youthful alleged killer. “Yes Mr Jindu, if you don’t mind can we help you summon him. Would you want to call him as your defence witness in this court,” she sarcastically said. Jindu said he wanted to be given heroin in order for him to perform the ritual. “Yes if you give me heroin,” he said but the Chief Public Prosecutor asked if the rest of the court was going to be given the same drug to see the devil. At this point he went mum, refusing to answer further questions before an outburst confessing he committed the offence and there was no need for further grilling. “Madam what do you want me to continue answering when I have already admitted to the offence?” he asked. Justice Moyo then intervened reminding Jindu to answer the questions as the State had a right to do so at law. He was however defiant saying he made a vow with the devil not to let the cat out of the bag. The cross examination went on for about two hours and at one time Jindu asked for water to drink before he could answer the questions. Ms Ngwenya in her closing submissions urged the High Court to convict Jindu of murder with actual intent in both counts saying the two murders were committed in aggravating circumstances. The verdict carries a death sentence. “All the points in the commission of these offences point to the fact that accused was a wholesome schemer who had managed to perfectly execute his plans. Accused’s actions after the commission of these murders were rational and calculated to evade detection and arrest. The story of Lucifer only cropped up in his evidence –in- chief and the consumption of drugs was never mentioned in his defence or to the police. It’s merely an afterthought on the part of the accused to divert attention. The State is therefore seeking a verdict of murder with actual intent in both counts committed in aggravating circumstances,” submitted Ms Ngwenya. In his defence Jindu said the urge to kill overwhelmed him in both cases. Justice Moyo postponed the matter to 6 August when she will deliver her judgment.